Free html templates help us for speed up our work. We getting works from different work firms. They must have different requirements. Here I am listing some best attractive free photo gallery Templates. Photo gallery feature is one important thing in these websites. Attractive photo gallery will make the client and customers happy. You can refer these gallery for making your own photo galleries. Most of these galleries made with bootstrap framework. World most famous html5 css3 framework. Twitter bootstrap reducing developer’s effort with their great features. Grid system allows easy customization, this feature also helpful for making different themes quickly. 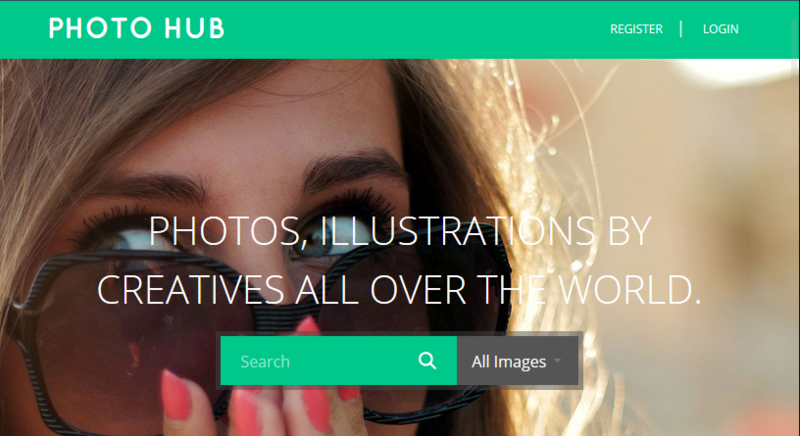 Photo Hub is a clean, flat Fashion category template for photo galleries , images , web pages , professionals, search engine sites Photo etc.The unique designs and the new features included in our templates have very popular among Internet users around the world made . It helps the photographer and the artist to portray some of their best pictures, illustrations, and designs . 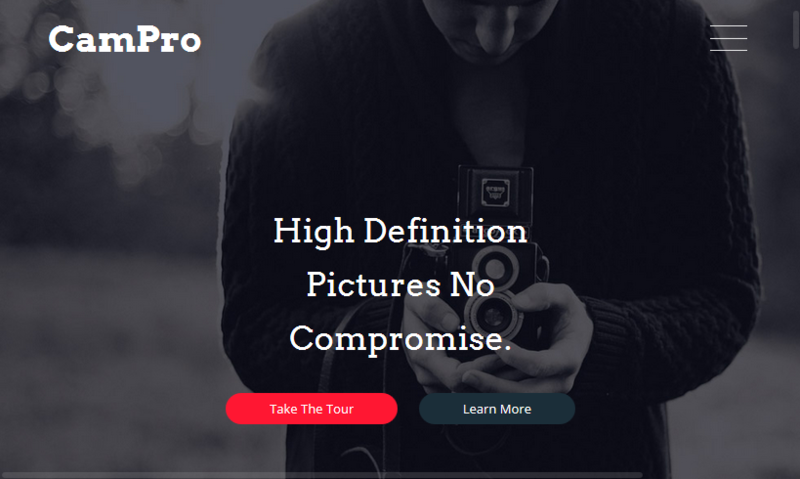 Campro a totally impressive free HTML5 photography website template for presenting your photos or design portfolio . This latest portfolio html template is the benchmark for portfolio websites as well as to increase high . The interior post content also look very good and the whole template responds in design for correct scaling on mobile , tablets, etc. , the entire width of the contact page and the only left sidebar is amazing for easy navigation and adding social icons . Photography , a photographer portfolios , which comes with a free apartment Responsive web design template . This template can be used for any kind of websites . as personal web pages, websites Fashion category . This web template is in a fancy style but it can be used in accordance with the requirements of users built . Photography design with a good color scheme and a good grid style elements . This must be observed some strong points , if you want to use this free web design template . Need online portfolio ? Consider this modern design for the content centric sites . Give it a try and start a photographer or other of portfolio you need. The home with a timeline on it makes it possible to insert videos, photos and written content . Download this theme and share the latest works with the audience . Start or re- designing a website – just do it ! To bring Get .psd files totally free HTML5 theme for online portfolio and customize it without efforts to website up and running . Voguish style , effective visuals , user-friendly navigation – this issue is for the creation of online photographers , personal , customized web design agency folios . 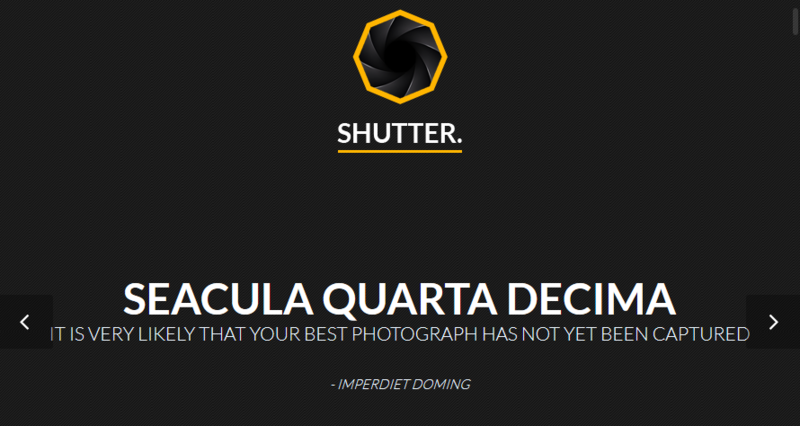 Shutter a Single Page Portfolio , which comes with a free apartment Responsive web design template . This template can be used for any kind of websites . as photographers , personal websites, corporate or non- corporate websites . This web template is in a fancy style but it can be used in accordance with the requirements of users built . Shutter designed with a good color scheme and a good grid style elements . This must be observed some strong points , if you want to use this free web design template . Folio is created to correspond to a photographer ‘s portfolio . This is a flat responsive web design template . 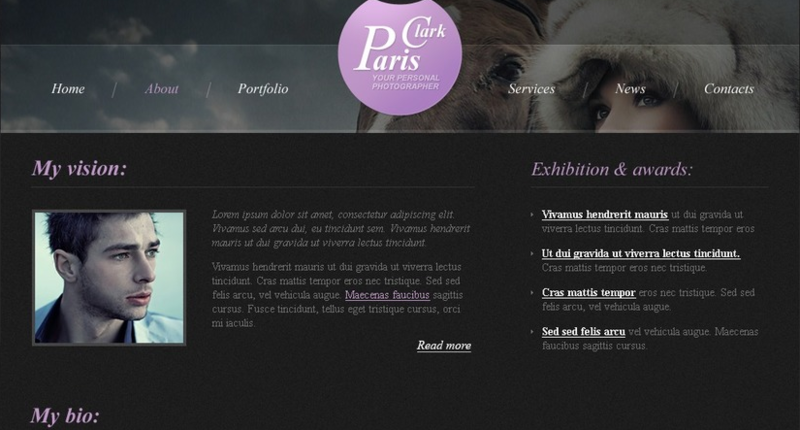 This template can photographer for any kind of personal web site templates , web pages Personal portfolio and much more . This web template is built in a fancy style , however ; it can be used according to the requirements of users. The HTML5 CSS3 template , Folio , designed with a good color scheme and a good grid style elements . Get the first free Bootstrap Responsive Template from Template Monster ! Thread with native Bootstrap functionality , and unique add-ons is a perfect fit for photography website . Appeals , there is the ability to search your site from various portable devices . And that’s not all . 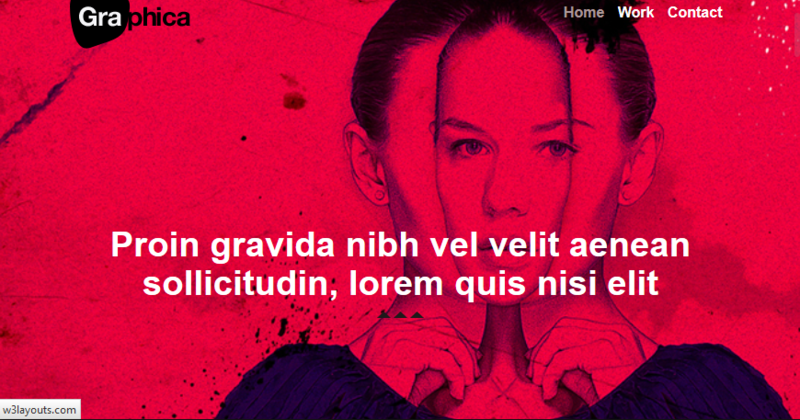 This topic provides an elegant design with cool animation effects . Please welcome the new free website template from Template Monster professionals for effective online portfolio or any other project , which will be busy with photography . jCarousel slider in its header produced an impressive presentation and the FancyBox function , which is applied on the gallery , presents her works effectively . Whether you are a beginner or a seasoned photographer , this free website template is your issue to present in the best possible way . State -of- the-art theme is a ready base for various online portfolio of creative people . With all the online work is just a bunch of implemented slider and cool gallery This template . Is well marked and responds , it will provide your site visitors with more comfortable user experience , and you – with effortless adjustment . Spirit is a flat responsive web design template that for website templates a personal photographer fits perfectly . This free appealing web design template can be customized and used depending on the user’s request . Spirit is developed on a blurred background with the image of a girl focusing a camera on modern HTML5 template .